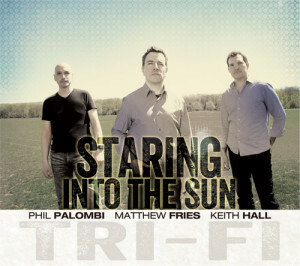 An all new CD from TRI-FI is on it’s way! Scheduled for release worldwide on February 25th, 2014, Staring into the Sun is the 5th album by the trio. It is another set of all-original music and it’s a celebration of the 10 years the trio has been performing, composing and recording together. Special thanks to the Kickstarter supporters who jumped in early to make the music happen! 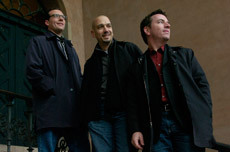 TRI-FI will be touring in support of the new album. Check our Tri-tinerary for information – or join our mailing list.